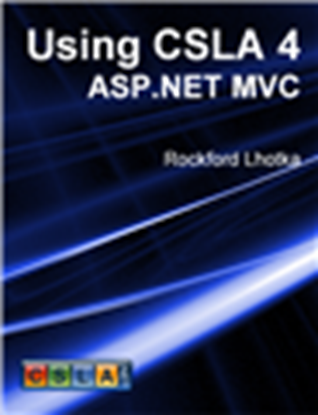 This ebook (in PDF format) demonstrates how to create an ASP.NET MVC web application that uses a business layer created using CSLA 4. 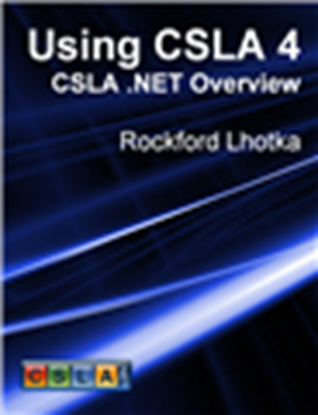 This ebook demonstrates the features found in the Csla.Web.Mvc assembly, which simplify the creation of controllers and views within the MVC framework when working against a model composed of CSLA-based business objects. This ebook (in PDF format) covers the four data access models supported by CSLA .NET, focusing on the two models that provide the best maintainability and flexibility without incurring undo complexity. The book walks through each business object stereotype, demonstrating how to implement the encapsulated invoke and factory implementation data portal models. It also demonstrates the use of ADO.NET, ADO.NET Entity Framework, and mock database access technologies. 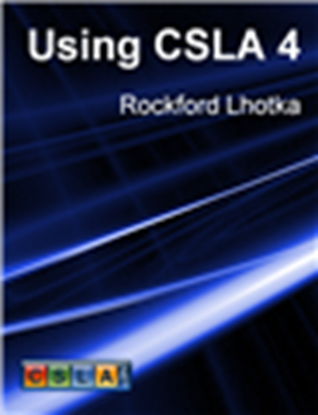 This ebook (in PDF format) covers the use of the CSLA 4 data portal technology, which enables flexible n-tier deployments of your applications in 1-, 2-, 3- and 4-tier physical configurations. 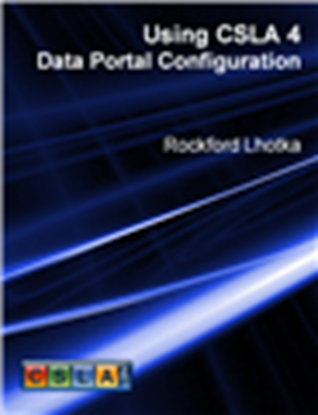 The ebook covers the use of the data portal in .NET smart client, Silverlight, WP7, and ASP.NET web applications. 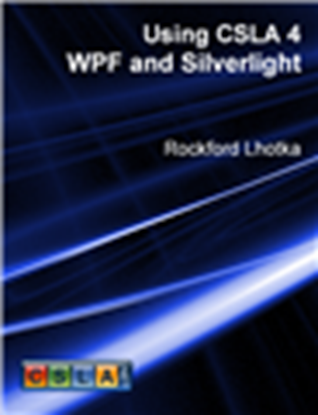 This ebook (in PDF format) demonstrates how to create a Silverlight or WPF application that uses a business layer created using CSLA 4. 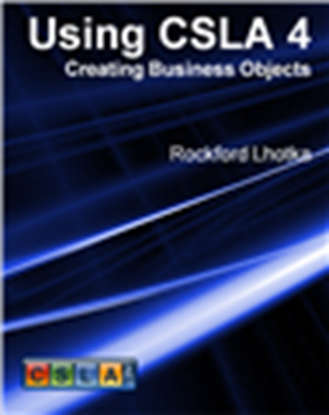 This ebook also demonstrates the use of the MVVM (Model-View-ViewModel) design pattern in a way that is very complementary to the capabilities provided by CSLA .NET business objects, resulting in an application that is easy to build and maintain with clear separation of concerns between the XAML-based view, the interface control code in the viewmodel and the model composed of CSLA-based business objects. This ebook also makes use of the open-source Bxf MVVM UI framework.